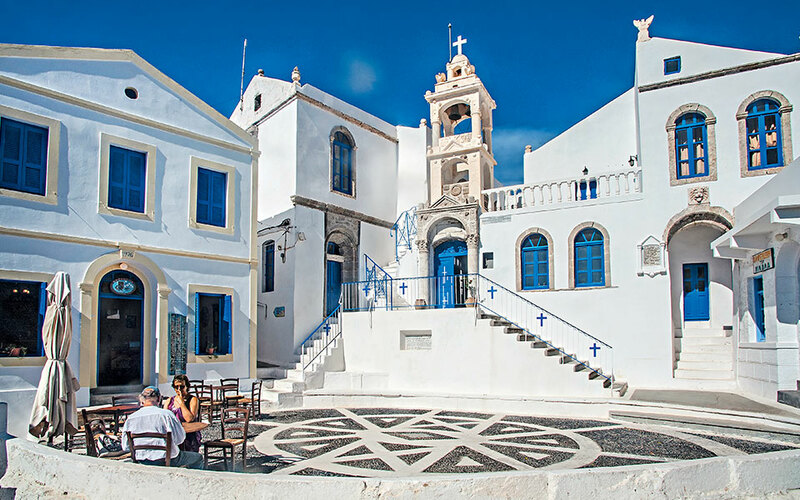 The charming Nikia Square, probably the most Instagrammed spot on Nisyros. SACRED PLACE: The 15th-c. Panaghia Spiliani Monastery stands watch over Mandraki and appears to hover in the night-time sky like an illuminated apparition. You’ll have to climb 130 steps to reach it, but it’s worth it. With an intricately carved wooden iconostasis from 1725 among its treasures, it is considered one of the most important monasteries in Greek Orthodoxy and attracts pilgrims from all over Greece. The imposing Panaghia Spiliani Monastery in Mandraki. 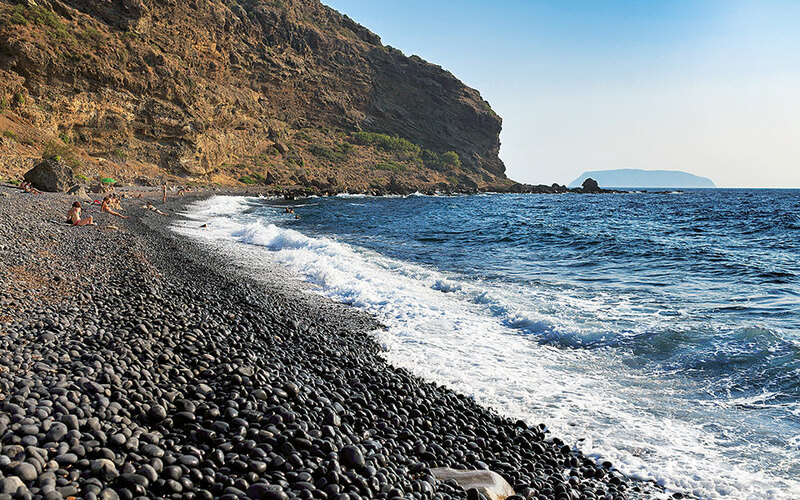 Hohlaki Beach is famous for its large volcanic stones. 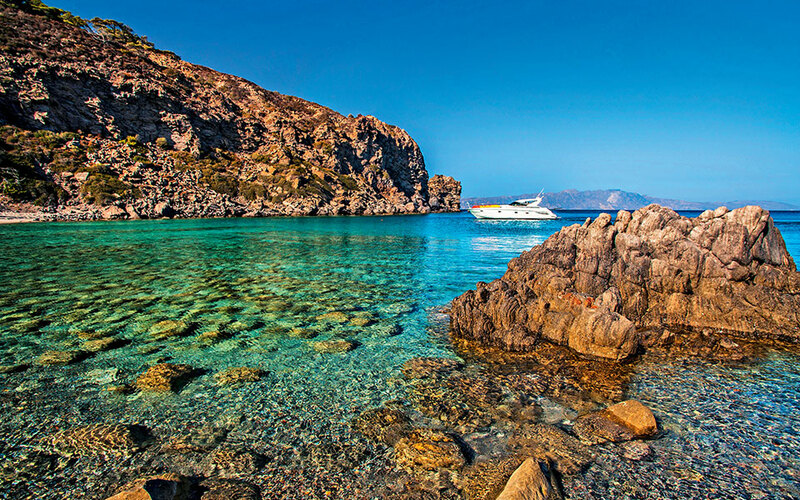 Many beautiful little coves can be found on the island of Gyali, especially if you’re on your own boat. 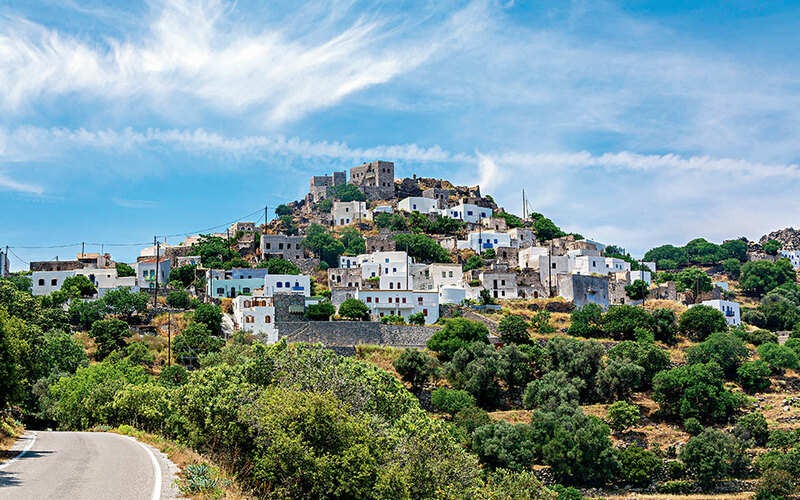 FUN AND KNOWLEDGE: The village of Nikia, on the opposite rim, charms visitors with its winding cobblestone paths and its picturesque main square, Porta. Stop here at To Kafeneio tou Nikola for coffee or a drink with meze, or for some homemade soumada, a sweet, non-alcoholic almond drink served with ice, and take in the amazing sea views. 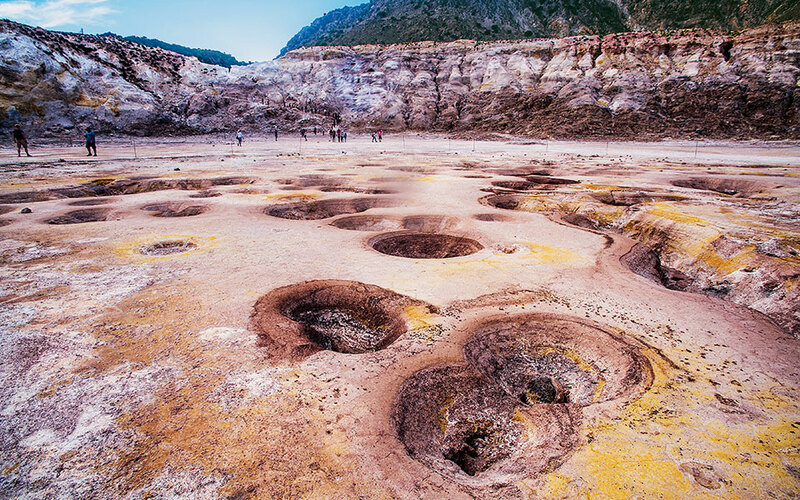 Nikia also boasts a Volcanological Museum, the only one of its kind in Greece, located at a prime spot on top of the caldera and offering panoramic views of the Stefanos crater. 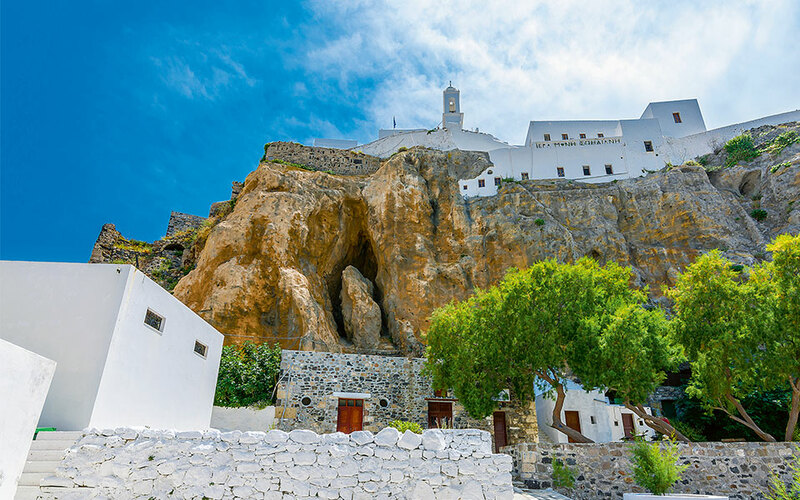 Everything you ever wanted to know about volcanos, and Nisyros in particular, can be found here, along with a unique collection of 250 volcanic rocks. The village of Emporios, high on the caldera wall. 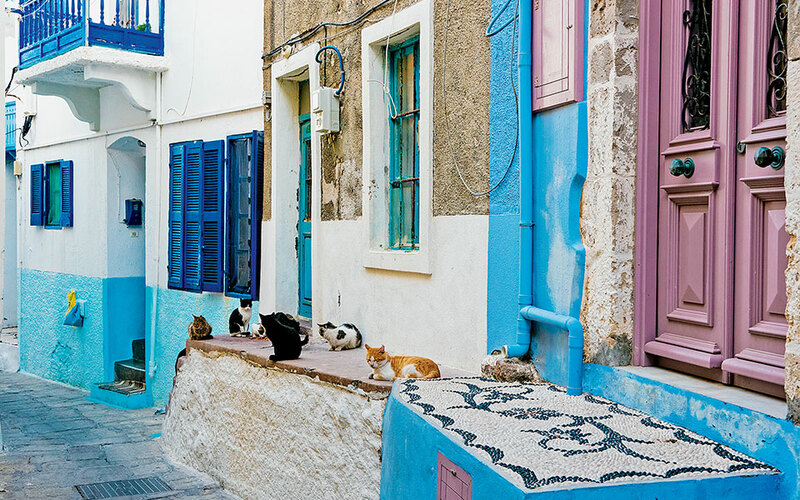 A cat’s life in the colorful alley in Mandraki Village. RECOMMENDED TABLES: In Emporios, Balkoni tou Emporiou is run by a lady called Katina who prepares traditional dishes. The tables at the edge of the veranda are particularly popular, as they offer a great volcano view. A relatively new entry to the village is Aposperi, a modern kafeneio with a great ambiance, amazing view, and excellent meze, spirits and wines produced by Kallia and her father Vangelis. In Mandraki, under the shade of the trees on Ilikiomeni Square, Irini serves homestyle food as well as great desserts.